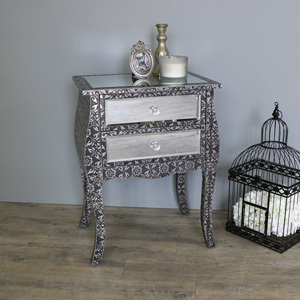 This bedside chest is from our stunning Monique Range. 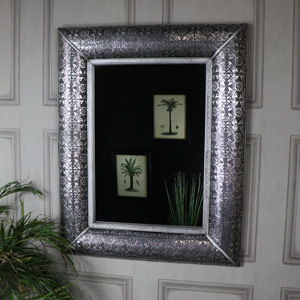 Finished in a beautiful emboosed design that will stand out and make a fantastic statement and add some vintage style. 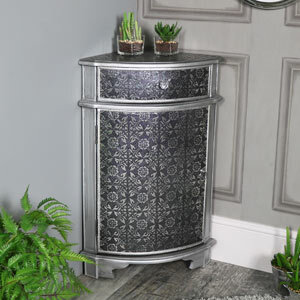 This is just what you need for your bedroom with 2 drawer storage. 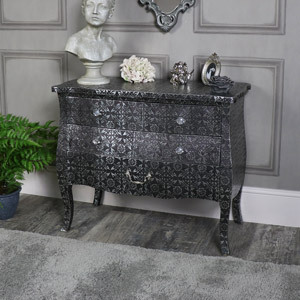 A 2 drawer bedside table/chest in a silver embossed finish, perfect bedroom storage. 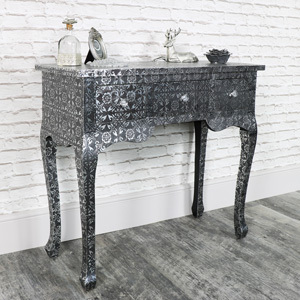 This chest will look impressive placed in the bedroom or can be used in the living room as a side table/lamp table. 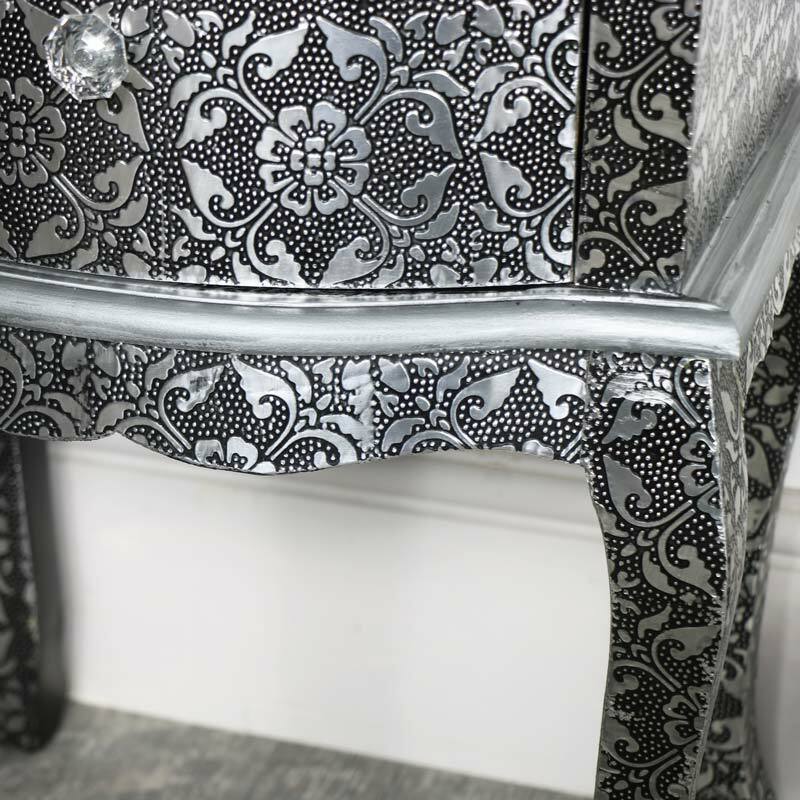 Each of the drawers is fronted with a crystal effect drawer knob and features curved legs which adds to the stunning design. 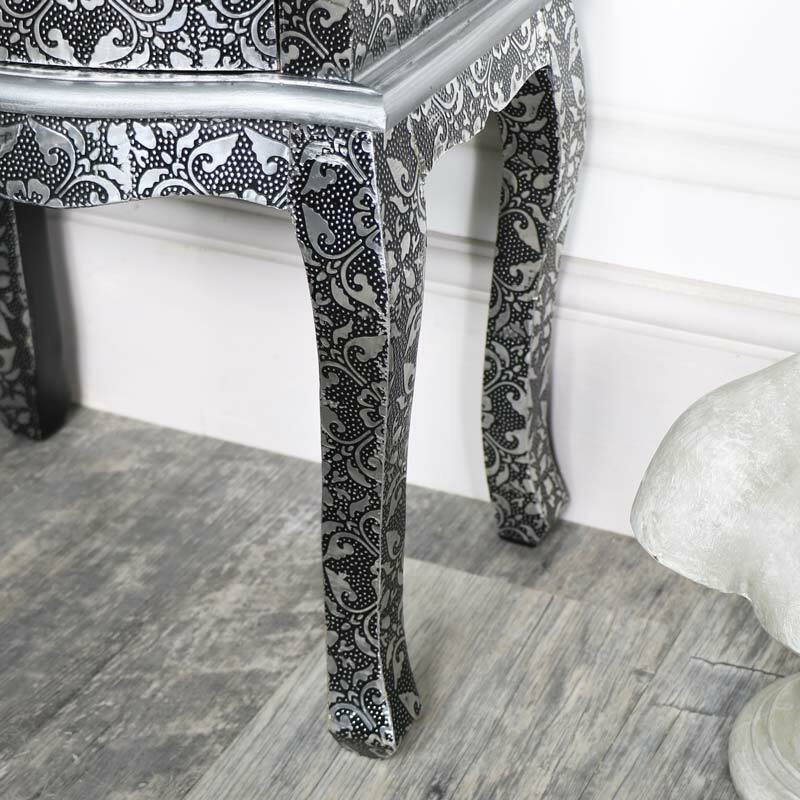 The perfect bedside for making a statement and along with the other furniture in our Monique Range, can help you to create a great look for your home. 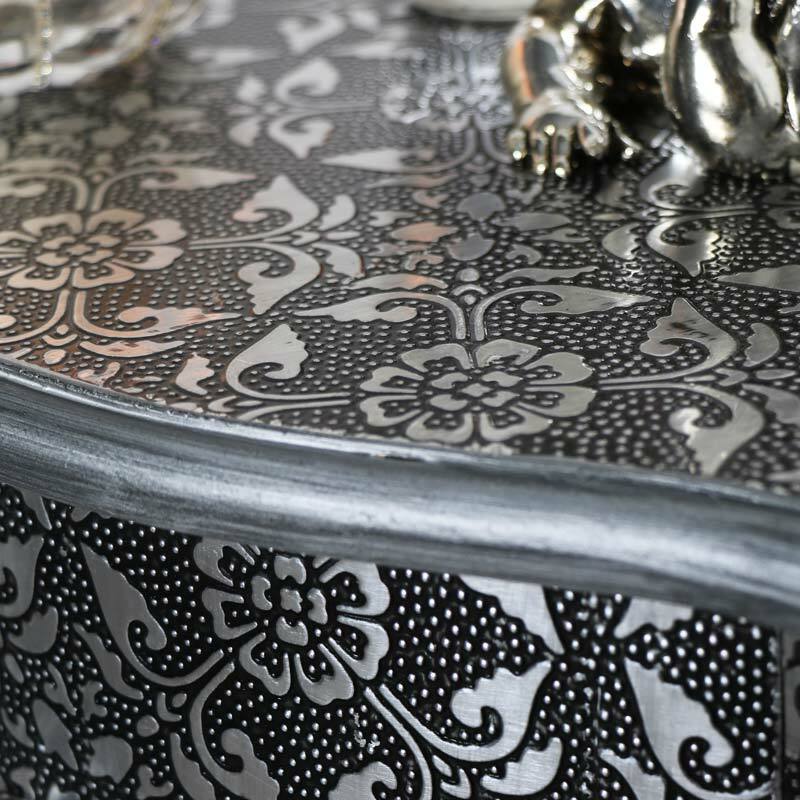 This bedside chest is from our stunning Monique Range. 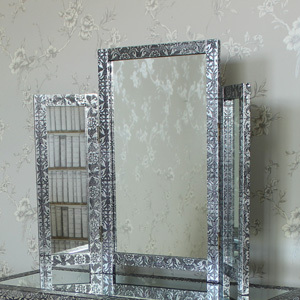 Finished in a beautiful emboosed design that will stand out and make a fantastic statement and add some vintage style. 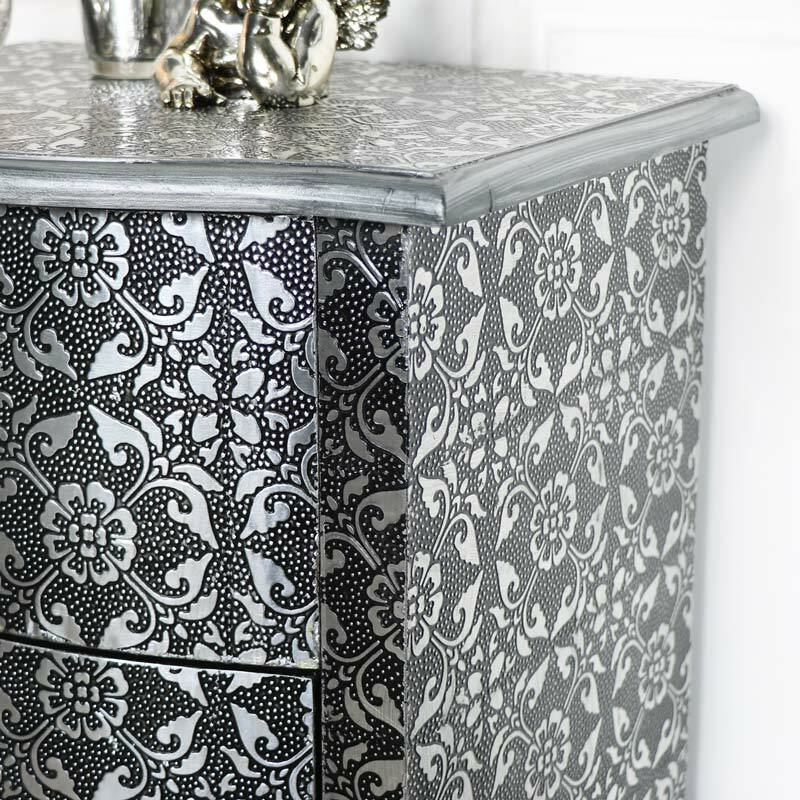 This is just what you need for your bedroom with 2 drawer storage. 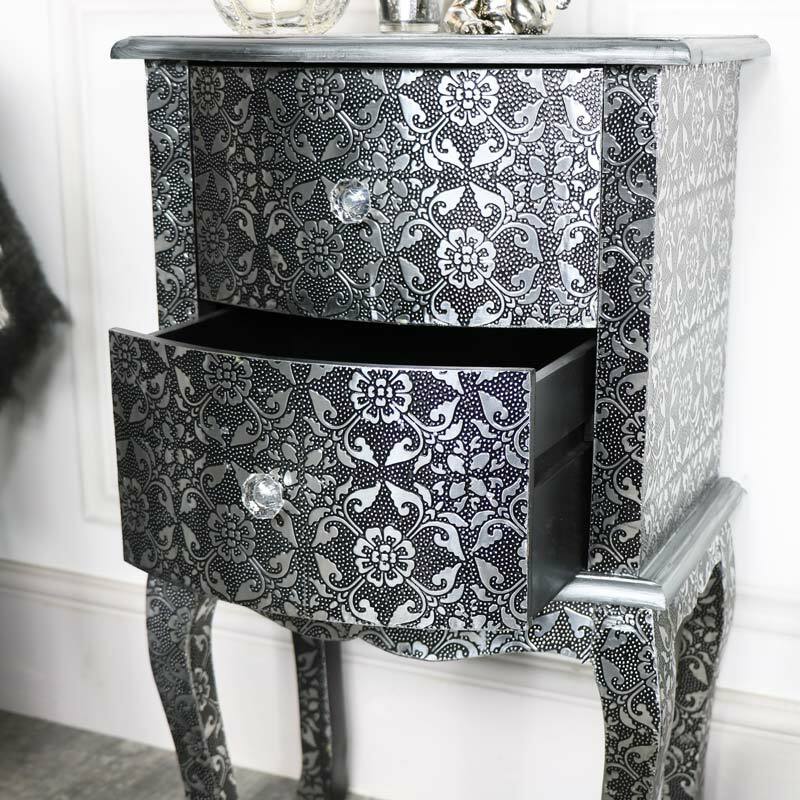 A 2 drawer bedside table/chest in a silver embossed finish, perfect bedroom storage. 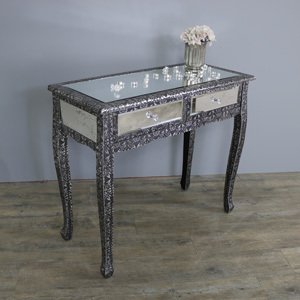 This chest will look impressive placed in the bedroom or can be used in the living room as a side table/lamp table. 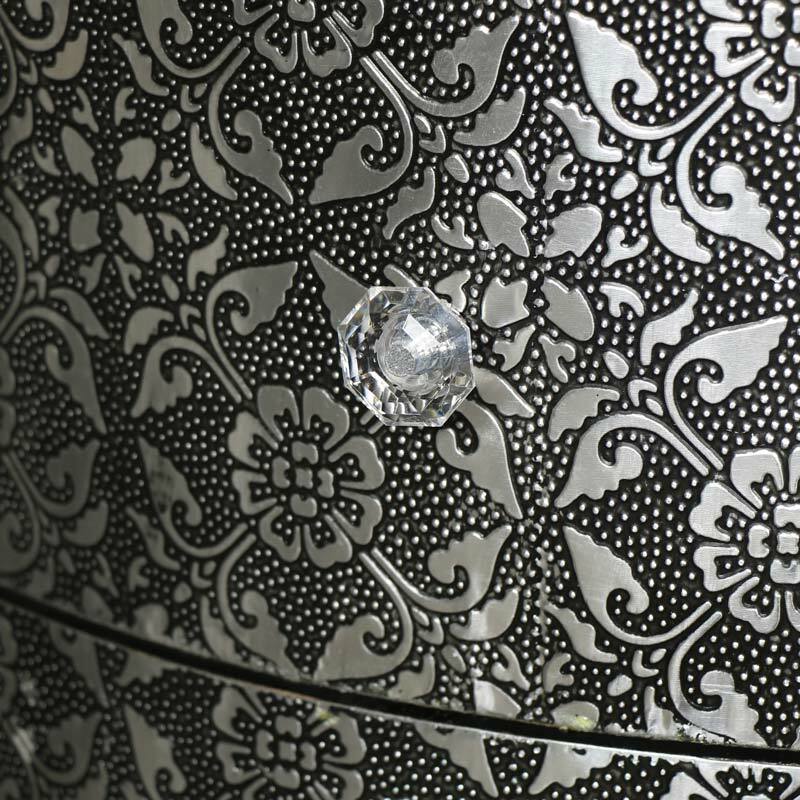 Each of the drawers is fronted with a crystal effect drawer knob and features curved legs which adds to the stunning design. 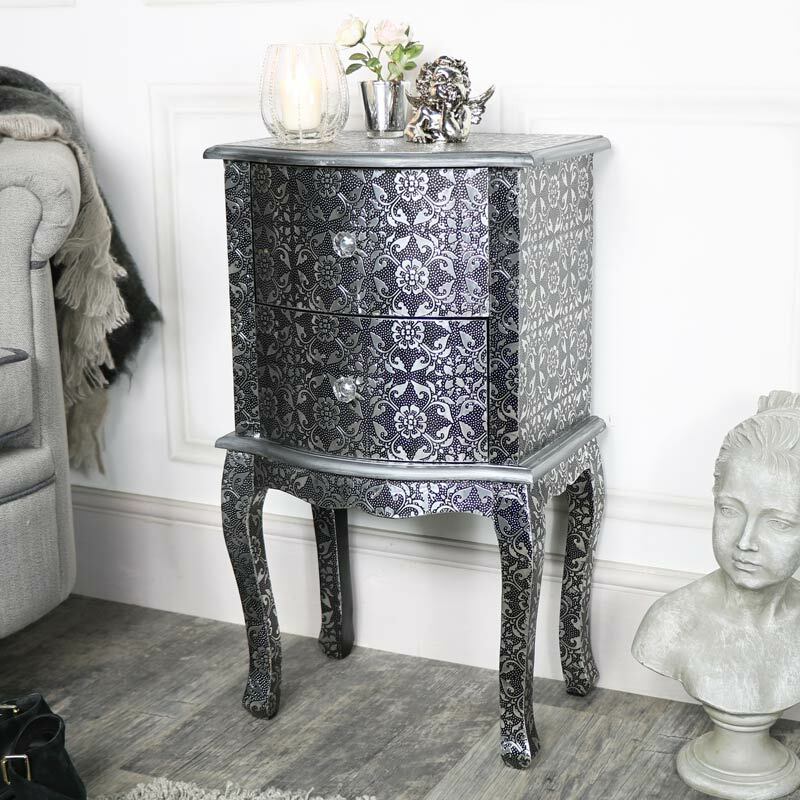 The perfect bedside for making a statement and along with the other furniture in our Monique Range, can help you to create a great look for your home. Wooden body with embossed silver/black aluminium sheeting to create the finish. The bedside comes fully assembled. Perfect for creating a bedroom décor with a difference and adding some beautiful vintage warmth that will make your house a home.